The world loves and hates fat. Driven by a primitive survival instinct for this once-scarce source of nourishment, the human brain craves it. But today, because we are surrounded by fat, that instinct has become a handicap. Thirty-nine million people in America alone are considered obese�defined as twenty percent above ideal body weight�and the incidence of obesity is rising around the globe. In "Fat," which first aired Tuesday, November 3, 1998, FRONTLINE travels the globe in search of the causes of obesity and its health implications. The program examines how media and cultural ideals as well as biology and genetics influence our relationship with food and asks "Is it possible to be fit and fat?" Identify the societal prejudices against people who are overweight and explain using examples how these prejudices manifest in American culture (advertisements, film, etc.). Articulate current medical opinion(s) about whether there is such a thing as an "ideal body weight" for an individual and identify other measures of healthy weight/body composition. 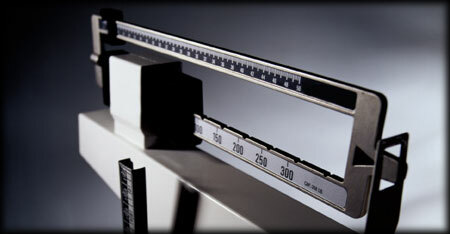 Compile data about his or her peers' perceptions of body image and explain how body image influences eating disorders. Identify the components of the Food Pyramid and explain critics' objections to the composition of the Food Pyramid. Analyze fast foods and determine if they are in accordance with contemporary dietary guidelines; the students will compare the nutritional content of fast foods, frozen dinners, and frozen skillet meals. Recognize safe and healthy ways to lose weight. Identify the causes of obesity in this country. This guide is written by with input from the "Fat" teacher's guide advisory panel. Advisors include Lynne Whitt, executive vice president and chief operating officer of the National Center for Health Education; Becky Smith, executive director of the American Association of Health Education; Judy Terando, health and physical education teacher at LaSalle-Peru High School, Illinois; and Jessica Smith of FRONTLINE. The author of the lessons in this guide is Kristy Helmick, ninth grade health and physical education teacher in the Fairfax County school system, Fairfax County, VA.
FRONTLINE is produced by WGBH Boston and broadcast nationwide on PBS. Funding for FRONTLINE is provided through the support of PBS Viewers.